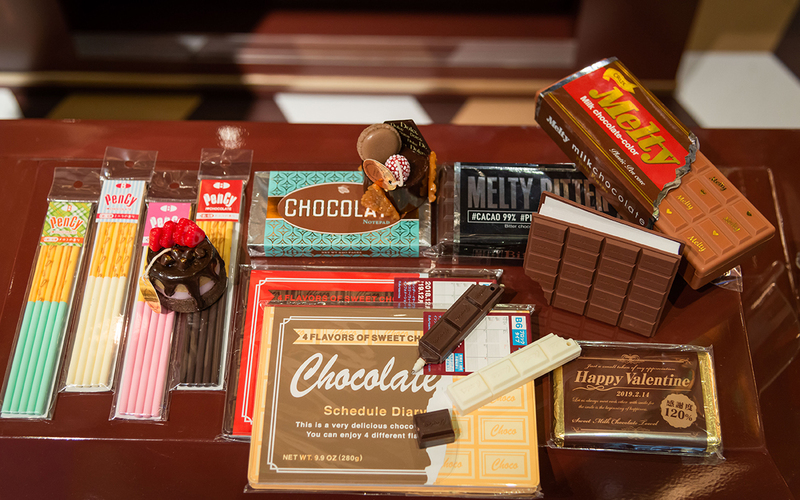 More than a delicious treat, chocolate is an inspiration for designer goods and themed décor. Especially for chocolate lovers, Harbour City presents the world’s first chocolate convenience store “ChoConveni”, housing a variety of interesting CAN EAT and CANNOT EAT chocolate-themed items. CAN EAT items include 50 types of exclusive chocolates sourced from global destinations including United States, United Kingdom, Switzerland, Belgium, Italy, Japan, Taiwan and Thailand, chocolate flavoured cookies and desserts, and also chocolate-infused liquors and milk drinks. Hong Kong frozen dessert brand – Happy Cow will also launch a new and exclusive hand-crafted vegan frozen dessert – Choc Choc Cookie for“ChoConveni”. CANNOT EAT items include fine stationeries such as Chocolate Bar towel and pencil box, Pretz pencils, cake-shaped candles and “ultra-realistic” chocolate magnets, etc. The store design of “ChoConveni” is another thoughtful highlight. Harbour City invited local visual artist Rex Koo to venture beyond graphic design and illustrations/animations for the first time, creating a playful yet stylish chocolate convenience store. Inspired by chocolate bars, the store features rows and blocks in brown, gold and white, with two chocolate bears welcoming visitors at the front door. Another Valentine’s Day photo hot spot in the store is the STATUS WALL, in front of which visitors can take photos according to their relationship status, from “Available”, “Bitter” and “Complicated” to “In Love”, “Occupied” and “Sweet”. 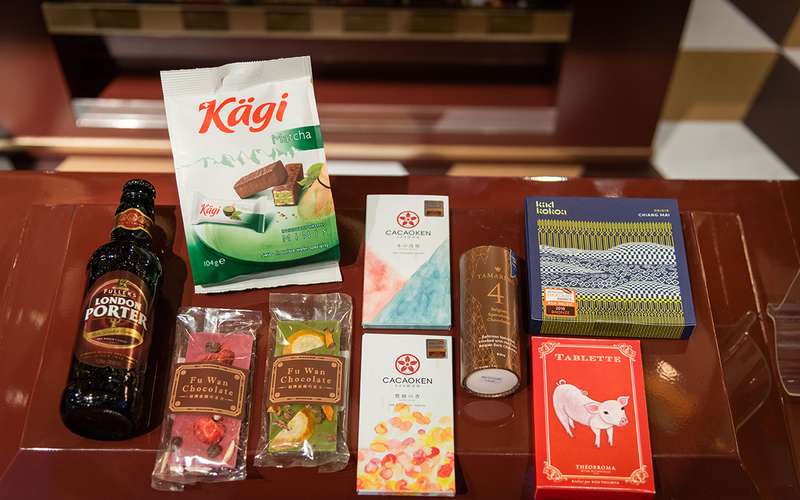 Moreover, Sugarfina, Venchi, Leonidas, Eslite Spectrum and 7-Eleven have brought a number of exclusive chocolate-themed items to be sold at “ChoConveni” and their outlets at Harbour City during the event period. Hong Kong chocolate connoisseur Katie Chan, a nutrition graduate from Kings College London with a certified qualification from the Chocolate Tasting Institute, highly recommends “Kad Kokoa”, the first Thai premium Bean-To-Bar chocolate brand which sources cacao beans from Thai farmers and is attentive in all process of selecting, fermenting and drying beans (its Changmai 70% Dark Chocolate Bar was awarded in the International Chocolate Award 2018). Katie also recommends Fuller’s London Porter to us; this 4 award-winning beer tastes smooth and creamy with delicious chocolate and coffee flavors derived from the roasted malt.